Yesterday I got the blog mostly caught up. 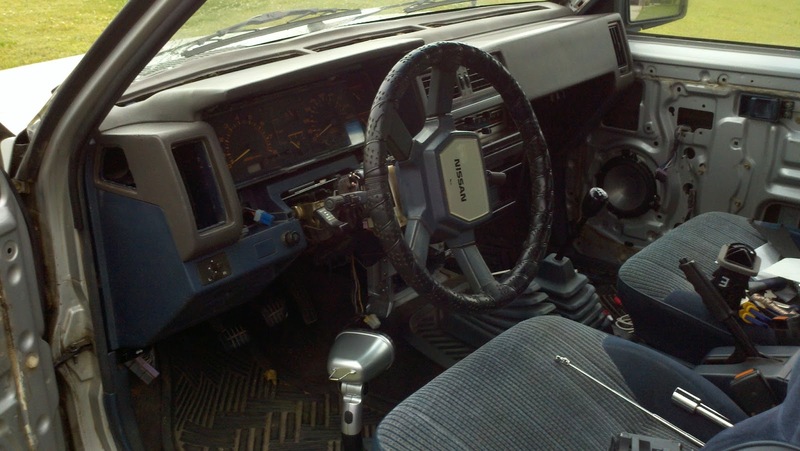 After this post, it will reflect exactly the current state of the truck. Updates will slow a bit (sorry for the flood) but progress should continue moving pretty well. Yesterday after work I came home excited to see that my side AC vents had been delivered! Pumped, I grabbed the dashboard from the floor of the garage (with newly installed grey dash cap) and brought it out to the truck. Opened the door and tried my best to get it in there, but doing anything with the dash is really a 2 man job. I cleaned the dash up until my dad got there and we began the dash install. It was not very fun remembering how to route all the wires, but eventually I got it. With his help I was able to get the dash set back down, then started the fun process of screwing everything back in. I made the mistake of not marking which screws went where, so it took a bit of trial and error to get right. 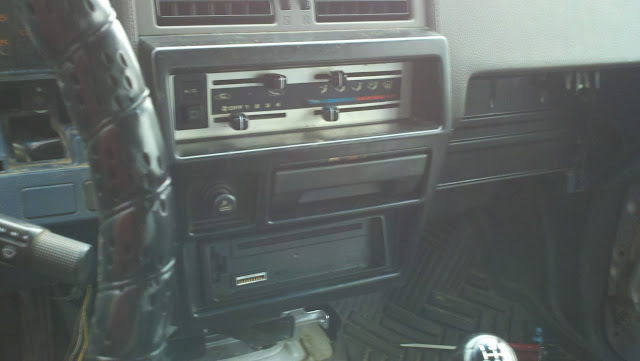 Still a fairly long way from having the dash all the way there, but I got the main piece mounted as well as the new head unit installed. I haven't installed the driver's side AC vent yet (I wanted to be able to get to the fuse box wires from there if necessary), or the side vents, or the top vents. I haven't yet decided if I want to look for some grey ones or just to try to paint match the blue ones, or just to throw the blue ones in there as is. For the moment, I'm just going to let it sit like that. 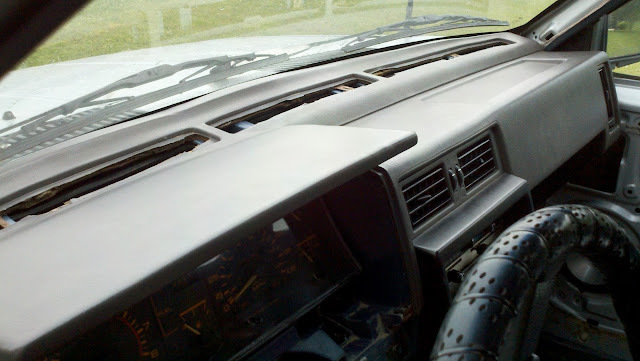 When I get home today I'm going to try to install some more of the dash panels, the instrument panel bezel, the glove box, and the steering column cover.